Are you a new HubSpot user looking for HubSpot workflow examples? Perhaps you've been implementing HubSpot for a while but don't fully understand how to use workflows in your marketing? If you're not a visual learner, you can scroll straight past the video and read through the transcript below. Enjoy! Hi, I'm James. I'm from Noisy Little Monkey and I'm going to talk to you today about lead-nurturing workflows. 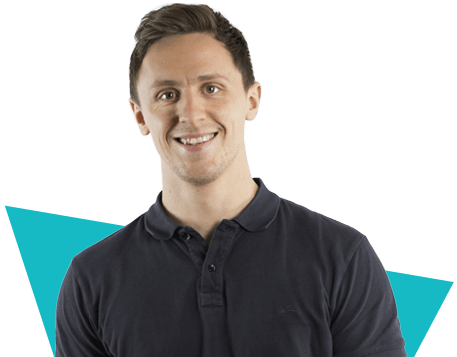 Digital marketing has evolved drastically over the last five to ten years and while businesses have been trying to catch up, the focus has been very much on the funnels; attracting visitors to your website and converting those visitors into leads. But that’s not where our job finishes. 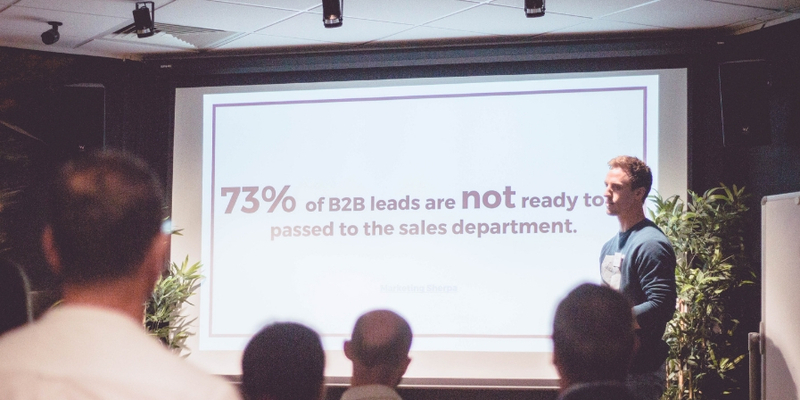 This is a pretty shocking stat: 73% of B2B leads are not ready to be passed to the sales department. What can we do about that? Over the next five or so minutes, I’ll talk to you about what lead-nurturing workflows are, how they work for an inbound marketing campaign and why you should be using them. When I first started putting the slides together for this, I was thinking ‘where have I seen lead-nurturing workflows before?’ and it was actually as a kid growing up and those flowcharts to find out what your summer shoe was, which I definitely didn’t read! The only difference between a flowchart and workflow is that a workflow automates those next steps based on a visitor’s behaviour on your website. For example, this example is one of the content offers on our website, so if a visitor goes on our landing page and downloads a content offer or a PDF, it will automate the next step to send them that guide in an email. So that’s just the very basic start of a workflow. A lead-nurturing workflow is a series of emails that will segment and qualify those leads based on the behaviour of whether they open their email or whether they don’t open their email. So, this is just to give you a bit of context: this is my inbox at the moment and every email you see in this is part of a lead-nurturing workflow, which is pretty incredible and, yes, I did buy those headphones. How do lead-nurturing workflows work in an inbound marketing campaign? 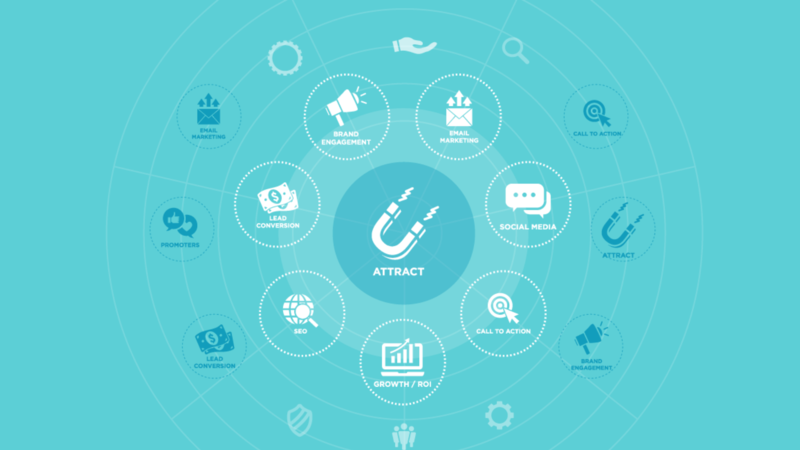 To give you a little bit of background, this is the inbound marketing funnel and lead-nurturing workflows, they work on the close section of the inbound marketing funnel, so for that you do need marketing automation and that’s software such as – we use HubSpot – but you can use many of these different marketing software platforms. All of them will have elements, a lot of them will do lead-nurturing workflows as well. So this is an example from one of our clients and the inbound marketing journey starts off with that early research phase. So someone is putting a question into Google, they’re not really sure what the answer is, so they’re asking our best friend Google to give us that answer and what you should be aiming to do is answer those questions and appear at the top of Google for those long-tail search terms such as ‘what is the difference between divorce and judicial separation’. Once they click that, they will visit your website or, in this case, our client’s website, at the bottom of the blog there will be a nice, big CTA which will lead to a landing page and on that landing page they can fill out a form, give a few details to us and they will get a nice guide which they can read and find out whether divorce is right for them or not. We know that this is very early in their research phase. This visitor probably isn’t ready to be contacted by a solicitor or anyone from a law firm just yet. We’ve also got some key details from them including, in this case, which is important, their location. So now we can begin to build a lead-nurturing workflow. So right from the start, what we’re doing here is, have they filled in a form? Yes. What’s their location? Because their location for this solicitor is very important because they only really operate in the south-west region, so if their location is in the south-west, we will send them a few more emails to nurture those. So we’re segmenting them right from the start as hot leads and cold leads. So, in those emails – in those lead-nurturing emails – after the follow-up has been sent, we will send them emails which are answering questions that they might be asking along that journey. So, for example, this email is to do with pensions in divorce and based on their behaviour of that email - did they open it? Did they click it? - we will send them another email and this might be about the financial settlement or something like that but, again, it’s nudging them every step of the way to maybe make that decision or maybe they do need professional advice. 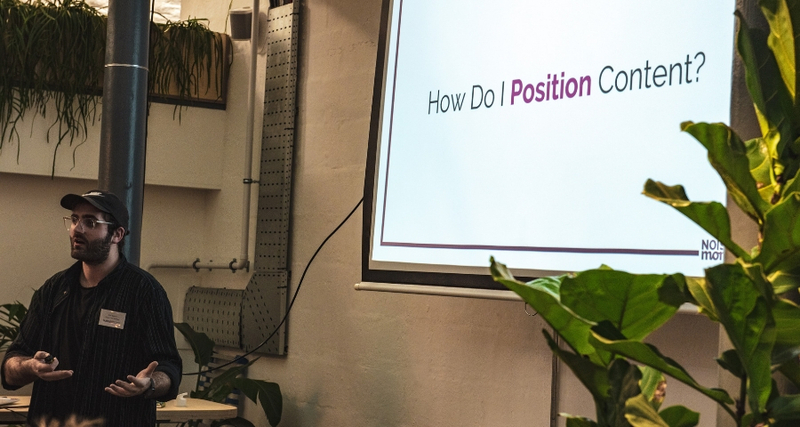 So that’s really the basics of a lead-nurturing workflow, but this is a more complicated one that is on our website and that is really just to qualify someone to see if they are ready to be called by Jon, our technical director and head of sales. So they can be really complicated or they can be really simple, just depending on how much you want to qualify the leads. Why are lead-nurturing workflows a no-brainer for you? We’ll come back to that stat. Three out of four people who convert on your website are not ready for the sales department to pester them. Lead-nurturing workflows can automate that process of giving them more information and setting out your brand as someone who can help them and your sales team don’t have to do anything and also it can segment your audience to, say, two out of those three people who download this content offer were ready so that’s one reason. The second reason is, a lot of sales people’s time is wasted doing those administrative tasks, doing these emails that possibly aren’t going to go anywhere and lead-nurturing workflows can do that automatically, so they can save a lot of time for your sales team. Really, it’s our responsibility as marketers to increase the quality of these leads so that we’re not wasting people’s time. Also, it can give much more detailed information about the lead, it can get information about quality of the lead – it’s the authority to buy, it’s the budget – all these useful bits of information that if a sales team has right at the beginning, they can begin to build a much better picture of how ready this person is to buy and how likely they are to buy. Finally, this is a quote from an old business professor, Peter Drucker: ‘What gets measured gets improved’. So lead-nurturing workflows have the software behind them that can measure the data. We can see from the example from earlier which email is performing better, which has a better open rate and you can begin to build a picture of why that is. Does it have a better CTA? Is the subject line better? Is it mobile-responsive? Then you can think, well how can we optimise this process? So hopefully that’s given you a bit of the basics about what lead-nurturing workflows are, how they work and if they are right for you. 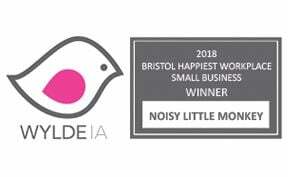 But if you have a specific question, please do get in touch at james@noisylittlemonkey.com.